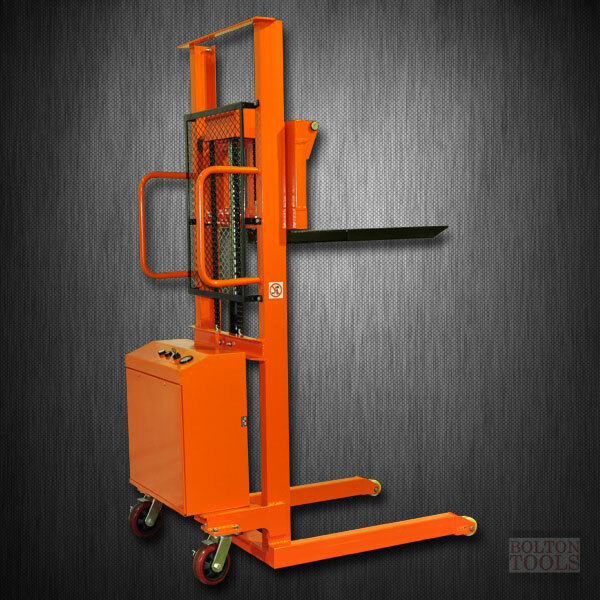 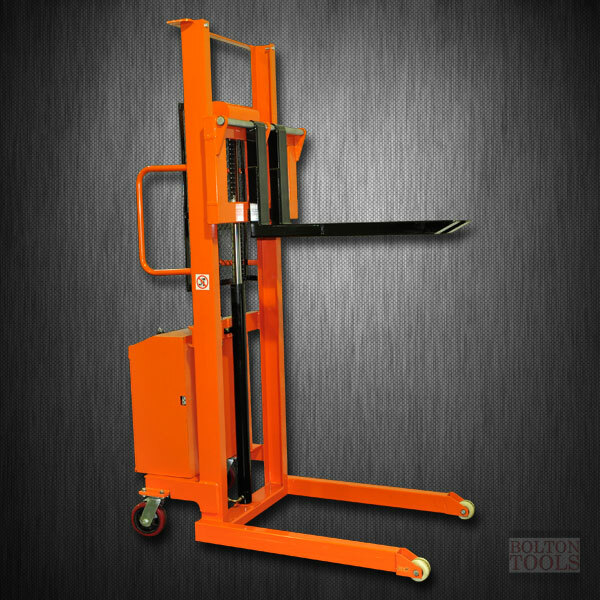 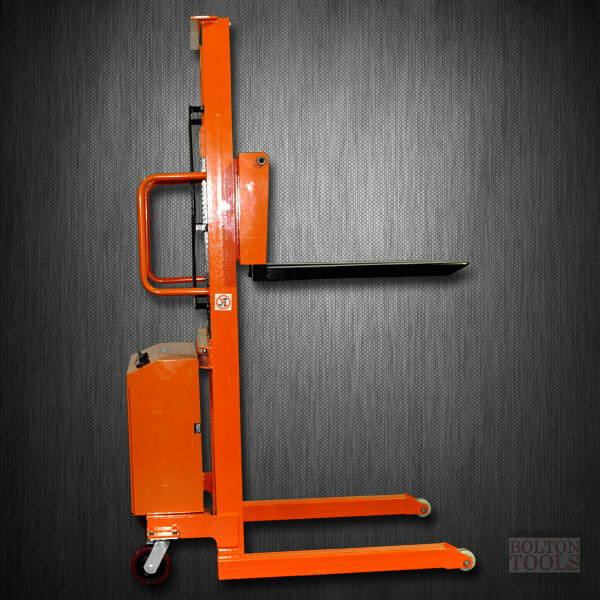 Bolton Tool's Electric Powered Hand Stacker can lift your pallet cargo up to 1100 lb. 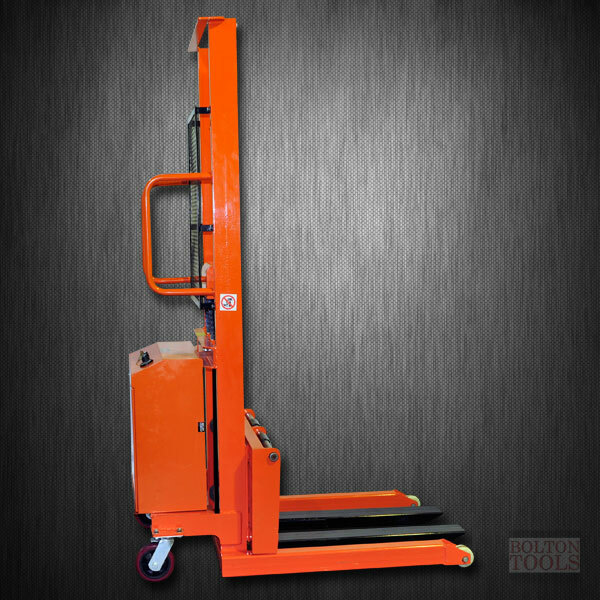 The key-operated cart can assist you on lifting or lowering the pallet with a push of a button. 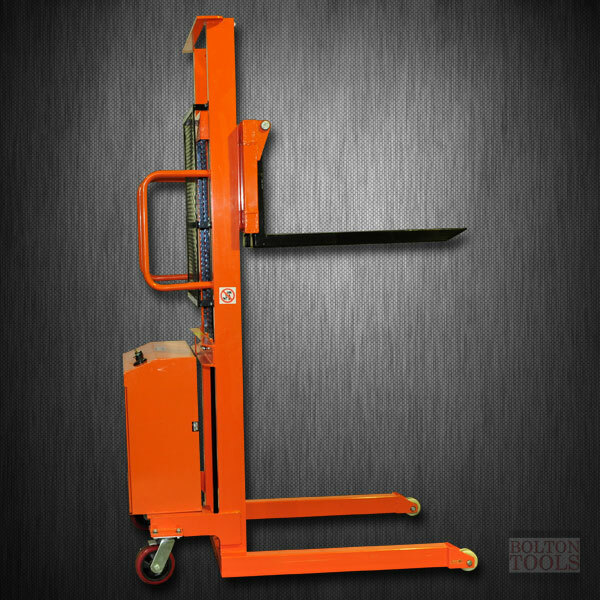 With it's cart style handle you have better control of your operation. 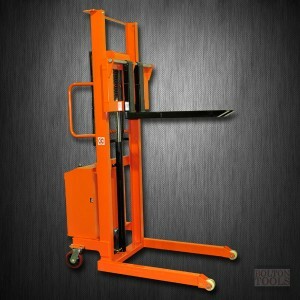 Fork Width: US: 7.1" / 26.4"
Packing Dimensions: US: 82 x 29" x 52"